So you are ready to take the dive and sign up for your first class. That’s great news. Starting with William Maslin Dance Studios is pretty straightforward, plus your first class is always on us. 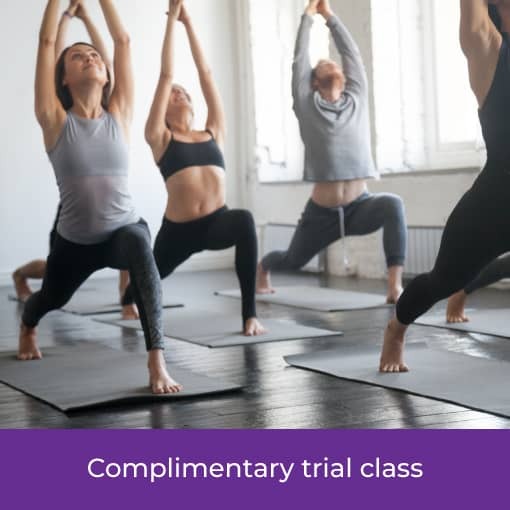 There are a couple of ways you can arrange your first complimentary class. Select any of the book now buttons or product widgets on our website for the respective class. This will create an order for you and we will then contact you to book you in for your first class at a time that suits you. Give us call or send us an email via the contact us page to arrange a suitable time. If you prefer the personal touch, just pop in to the studio and say hello at 8 Spring St Sydney, and we will take it from there. 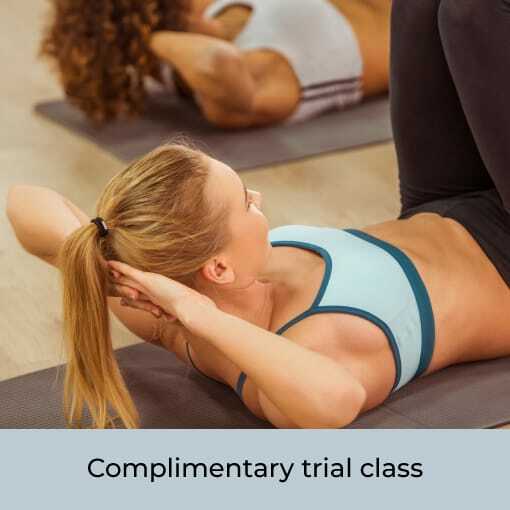 It’s a great idea to arrive for your first complimentary class a couple of minutes early. You’ll be greeted by our friendly staff, who will have a quick chat with you about our studio and how things work. If you are joining us for dance classes and aren’t sure about what dancing you’d like to learn don’t worry. After our little chat, we will hit the dance floor and show you some steps from a few different dance styles. Then we’ll go from there. If you are happy with our proposed dance program, or loved your Yoga or Pilates class, then go right ahead and book your next class in. Enjoy your journey with us! I have never danced before. Does that matter? A. Absolutely not. Whether you have never stepped on a dance floor in your life, or have been dancing for years, we have a program for students of any ability. If you have never danced before, you will generally start off with our Footsteps™ program, which is a smaller program that focuses on basic elements of the dance styles you have chosen to give you a solid foundation in your dancing. Do I need a partner to learn to dance at your studio? A. No. As your classes are one on one, if you do not have a partner, your dance teacher will be your partner. Having a dance teacher as your dance partner means never having to worry that your partner is going to step on your toes! A. The cost of classes is dependent on a number of factors such as, type of program, number of classes and length of program enrolment. Everyone is different and wants to achieve different things from their dance, which is why of focus on personalised dance programs. The cost of our programs are therefore personalised to your budget and needs. A. Both the private classes and group classes run for 50 minutes. What do I wear to a dance class? A. Comfortable clothing which allows for a reasonable amount of movement. If you are dancing after work, business attire is fine, but for ladies a pencil skirt/dress is best avoided! Shoes: No thongs/flip flops or loose shoes such as mules. We have a small selection of dance shoes available for hire for your class. Can I buy group dance classes only? A. DanceXpress are the only group classes we sell outside of a dance program. Our studio focuses on private classes as the foundation for our dance programs. These programs include a range of group classes which are an ideal opportunity for students to practise what they have learnt in their private classes under the watchful eye of a teacher. Group classes also provide a great opportunity to meet other students and experience dancing with different dance partners at your level. Can I choose the dance styles that I learn? A. Absolutely. We pride ourselves on being flexible and providing personalised programs that are about you and what you want to achieve with your dancing. That said, we might recommend including other dances that may be outside of your interest, but will help you achieve your dance goals. Will I have to perform or compete? A. That is completely up to you. Our studio is focused on social dancing, so we don’t organise or participate in any external competitions. However, you are more than welcome to participate in competitions of your interest and we will work with you to meet your competition dancing needs. How many dance classes will I need? A. That depends on a number of things such as your ability, what you want to achieve with your dancing and how much time you can commit. After your first class, your teacher will recommend a program and number of classes taking all of these matters into consideration, giving you a personalised program which is all about you. What social dancing opportunities do you provide? A. We believe dancing is fun and provides a great opportunity to meet people and travel the world. With that spirit in mind, we provide regular in-studio social events as well as special local, regional and international social dancing trips. Why not dance and have a holiday at the same time! Do you provide Ballet classes? A. Yes. We offer Ballet classes for adults, which are usually a 4 to 8 week course, for beginners through to advanced. The Ballet classes are held on Saturdays. Keep an eye out in the online shop for available classes. Do you provide classes for children? A. No. Our classes are for adults, 18 years and older. Am I too old to dance? A. Absolutely not. Our wonderful teachers will take care of all of our students, no matter their age, and will adjust the class to meet your needs, ability and fitness level. We stay up to date with the latest research on how dance can improve the lives of older people and incorporate that into our classes. Do I have to attend group classes? A. No. Groups classes are an important part of your program and really support your private classes, so we highly recommend that you do. Plus, they are included in the price of your program, so why not make the most of it! I have never done Yoga or Pilates before. Does that matter? A. Absolutely not. Our teachers will provide variations during the class for all levels. How much do Yoga and Pilates classes cost? A. You can buy a single class for $28.00 or we have 3 class packs available. Students who have a current dance program with us may be eligible for a further discount. For every new student to our studio, the first class is on us. A. Both the Yoga and Pilates classes run for 50 minutes. There is also an express version of the class in the morning at 7:45am for those in a rush to get to work! Do I need to book a Yoga or Pilates class beforehand? A. Yes. All classes must be booked via the student portal at least 1 hour before the class start time. A. Please make sure you cancel more than 6 hours before your scheduled class. If not, you will be charged for the class. What should I wear to a Yoga or Pilates class? A. Please wear comfortable, light and stretchy workout clothes. No shoes or socks are needed, but grip socks can be worn. A. We encourage all students to bring their own mats with them, however we do have mats available for use and for purchase. A. Sometimes things happen that are out of our control, so if you are running no more than 5 minutes late please give us a call and we will let the teacher know and lay out a mat for you if you need. If you are more than 5 minutes late unfortunately we are unable to let you in for your own safety.